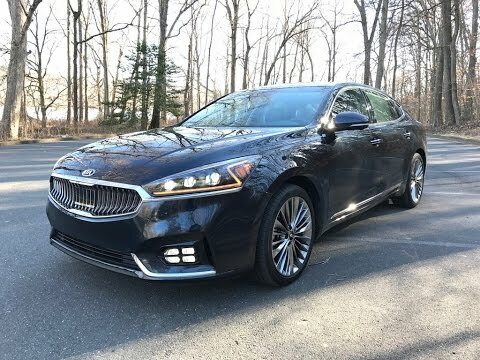 The 2017 Kia Cadenza is a good-looking, nice-driving, premium-feeling and not-too-expensive full-size sedan that slots between the Kia Optima and the even bigger and more luxurious Kia K900 luxury sedan. Its blend of style, sophistication, technology and comfortable driving is sure to make inroads in the full-size sedan class. The 10 year warranty caught my interest. I like the power and the smooth drive. I have had my Kia cadenza for a little over a year and love it! Runs great, smooth, very comfortable, has lots of power, good on gas, looks nice inside and out, GPS, backup camera, leather seats, CD player, satellite radio, speakers sound great, signals when cars are too close, nice wheels, handless phone and more. I am very happy with my Kia. 2017 Kia cadenza is larger than the average sedan, have year with a bigger engine. It drives like the larger sedans of years ago. I have had my car for about five months and I absolutely have been very impressed. Is a premium vehicle, comparable to the other luxury sedans on the market, such as Lexus, BMW, etc., but for a more competitive price point. I'm very impressed & happy with it so far. The most technologically advanced vehicle on the road. Great car all around looks, performance, price it has all the technology that I love and it is a safe vehicle because of it. The technology is to help avoid accidents it drives great, handles perfectly, all kinds of features to make it a pleasurable experience.